Jo McIntosh and Carolyn Saxby. Both Jo and Caroline have spent weeks producing many beautiful and original pieces. 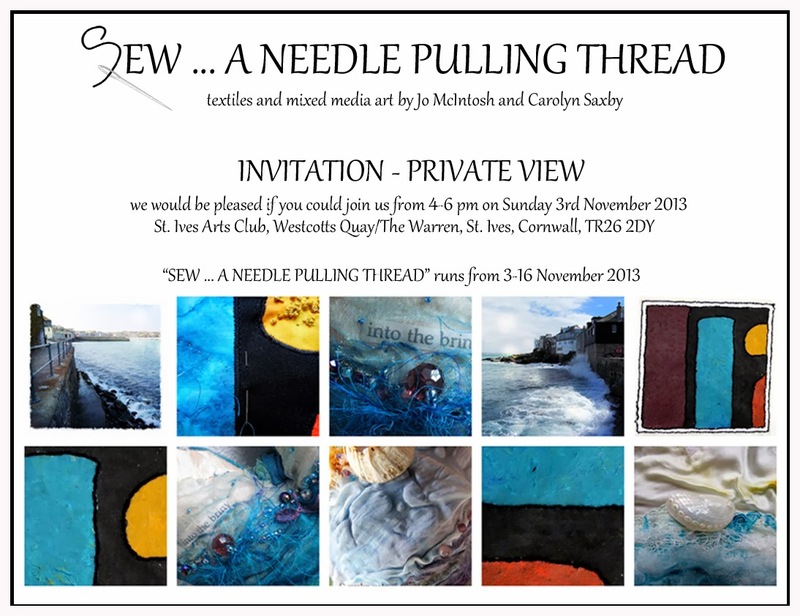 Opens at 4.00 - wine - nibbles - all welcome. The exhibition is open daily - 10.30 am to 4.30 pm - until Saturday 16th November.